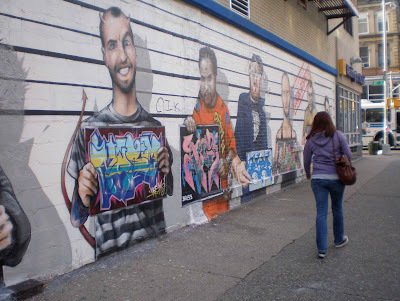 On East Second Street in the East Village of Manhattan, three graffiti collectives have created a "Line Up" of street artists. 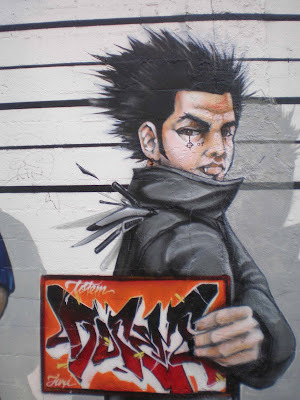 From Tats Cru's website: "Tats Cru, Inc is a group of Bronx-based professional muralists whose work in aerosol has changed the perception of graffiti as art. Twenty four years ago, three teenagers began their artistic careers by creating subway graffiti. What began as a recognition tactic has evolved into a powerful expressive style.." AWR (Angels Will Rise) is an LA based street art group. 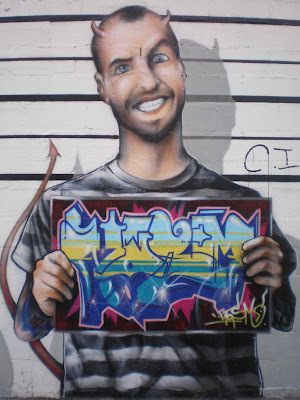 ABC stands for Artistic Bombing Crew, an old school Chicago group. 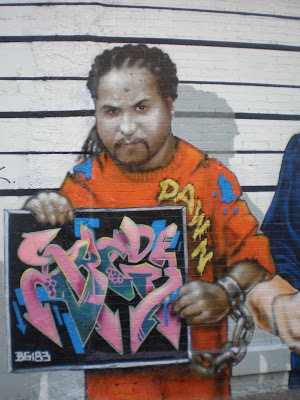 This is a salute to Chico, the legendary Lower East Side mural artist. 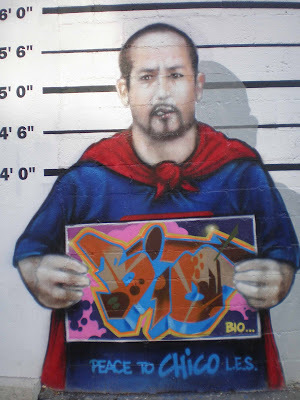 He was written up in the ">New York Times in 1999: "Chico proved to be the nom de spray can of Antonio Garcia, 37, a Puerto Rican-born street artist who quit a humdrum job with the New York City Housing Authority a dozen years ago to devote himself full time to his lively murals.....Mr. Garcia's obsession with mural painting began while he was working for the Housing Authority in the early 1980's, a time during which he spent much of his wages on spray paint. 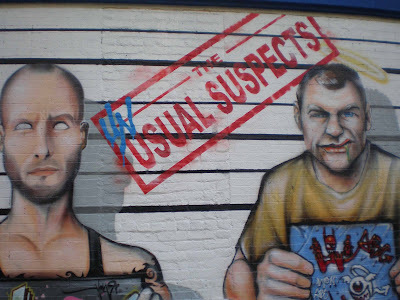 He quit his job in 1988 after his boss refused to give him time off to paint a mural in England. He has since accepted invitations to do work across the country and overseas, he said. One project took him to Japan two years ago. 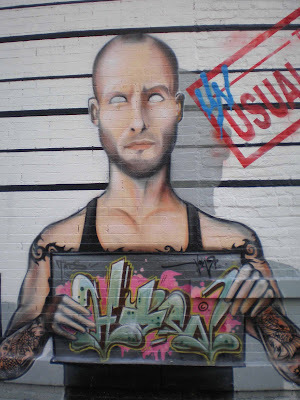 He said he had lost count of the walls he painted on the Lower East Side because so many of his murals had been erased."